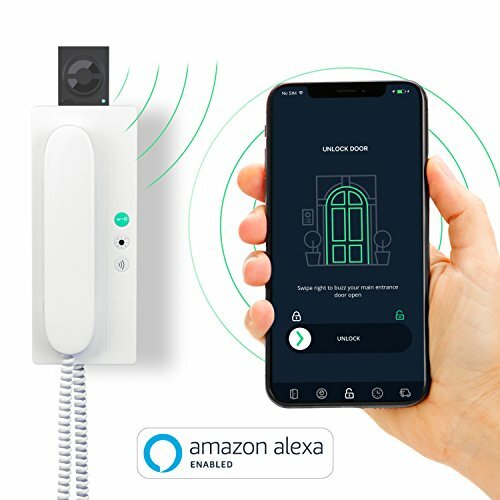 - Keyless access: The WiFi-enabled chip makes your existing intercom system smart and can be easily installed by yourself without your landlord's permission. - Swipe to Unlock: With nello one you can open the entrance door to the hallway with your smartphone. - Homezone Unlock: Go home, ring the bell and let nello open the door for you. - Time Windows: Give automatic access in certain time windows // User Management: Share your keyless access with family and friends in the nello app (iOS & Android). - IMPORTANT: Check compatibility of your intercom on our website or directly in the nello app.